Upon arrival into Christchurch, transfer to your hotel and spend the remainder of the day exploring at leisure. In the evening, meet with your tour guide and fellow travellers for a welcome reception and dinner. Board the coach and see the work carried out to rebuild the city of Christchurch after the earthquake of 2011 before travelling over the countryside of the Canterbury Plains to begin your day of sightseeing. 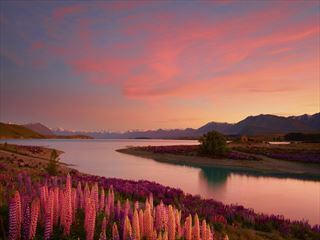 The first attractions on the list are the lakes of Tekapo and Pukaki. 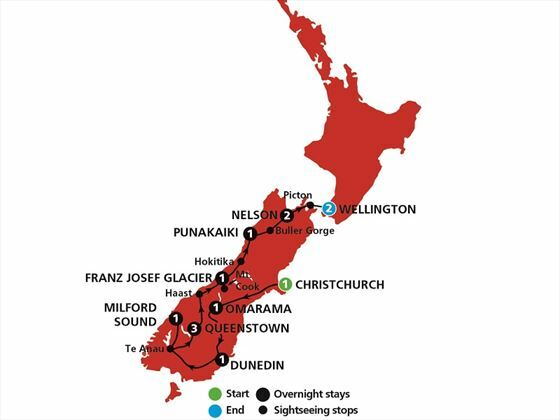 Afterwards, head on to visit the Church of the Good Shepherd and the alpine scenery of Mt Cook National Park – this is sure to be one of the major highlights of the trip! 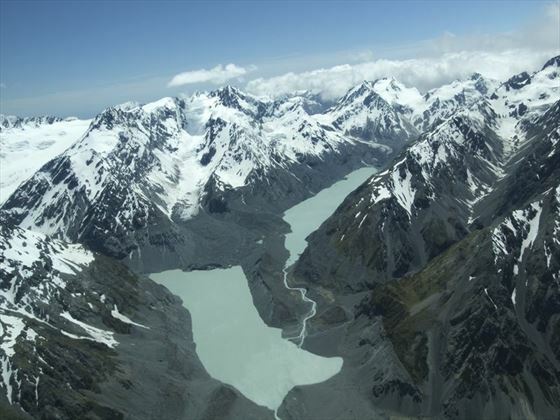 Afterwards, you may wish to take an optional scenic flight over Mt Cook (weather permitting). 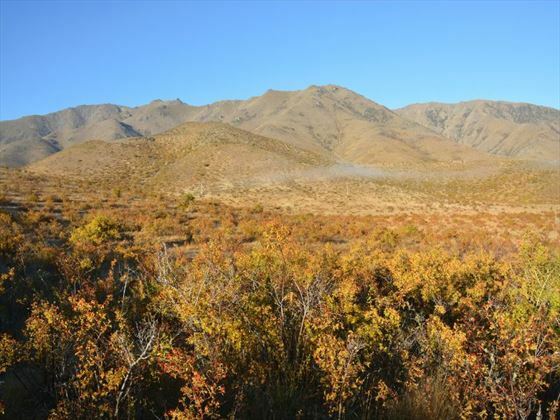 Beginning along the Waitaki River, visit the Waitaki Hydro Power Scheme and the Benmore Dam. From here, you’ll travel through Oamaru which is famous for its white limestone buildings made from locally quarried stone. Upon arrival in Dunedin, take a sightseeing tour then visit the only castle in New Zealand – Larnach Castle – and explore the picturesque gardens surrounding this beautiful building. Today sees you travel along the Devil’s Staircase and the shores of the Lake Wakatipu on your way to Te Anau. 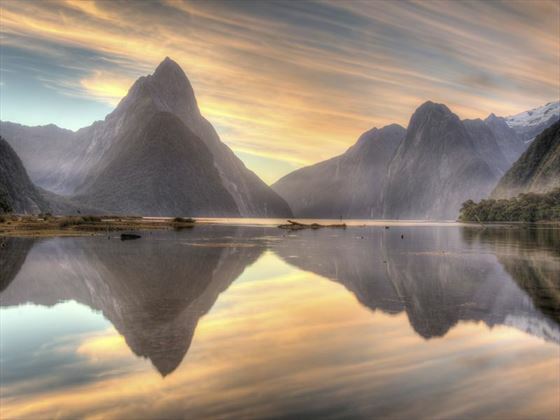 The sheer beauty of the Fiordland National Park will amaze and inspire you and there are some great photo opportunities to be had here. You’ll drive along the hand-hewn Homer Tunnel to the Mirror Lake where you’ll be met by truly amazing vistas. Some other significant attractions along the way include Pop’s Lookout, the Chasm and Cleddau Valley before you arrive in Milford Sound for a magnificent overnight cruise on the Milford Mariner (does not operate May 21 - Sept 15 during this time - day cruise and overnight stay in Queensland). Depart for Te Anau which is situated on the shores of Lake Te Anau – the largest lake on the South Island. While you’re here, take a boat tour of the Te Anau Glow Worm Caves with an expert guide before continuing on to Queenstown for a three-night stay in the adventure capital of the world. Spend a day at leisure in one of New Zealand’s most exciting destinations, where everything from wine tours to adrenalin sports is on offer to enjoy. This is a location that is perfectly suited to people of all ages and abilities, depending on how adventurous or relaxing you want the day to be. Why not take a delightful evening cruise across Lake Wakatipu on the oldest steamship in New Zealand, the TSS Earnslaw, to Walter Peak Station for a carvery dinner at the Colonel’s Homestead? After a delicious dinner, enjoy a farm show which provides a glimpse into high-country farm life then join in a sing-a-long on your cruise back to Queenstown. Enjoy another relaxed day at your own pace to make the most of the wonders of Queenstown. In the evening, ride the steepest gondola in the world for a memorable dinner at the Skyline Restaurant on Bob’s Peak. Today you’ll visit the historic gold mining village of Arrowtown which is located by the Arrow River. Afterwards, make your way to Cromwell and a trio of lakes – Dunstand, Hawea and Wanaka. 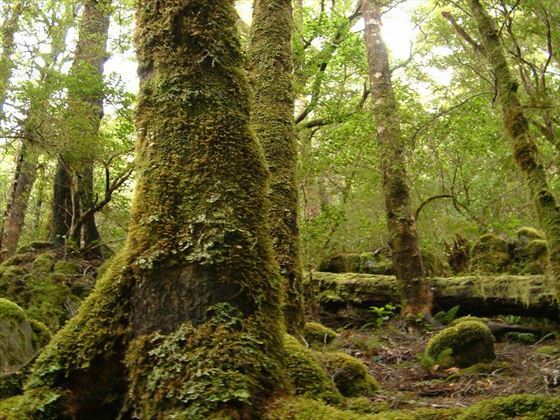 Venture through the Haast Pass and Thunder Creek Falls before embarking on a picturesque rainforest walk. The final stop for today is undoubtedly one of the most breath-taking on the whole trip – Franz Josef Glacier, a rare and ever-advancing glacier. 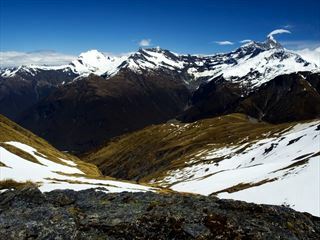 You can take a scenic flight to see Franz Josef Glacier from the skies or enjoy a glacier hike (both optional) before departing for Hokitika, which is home to the native greenstone (jade). Here, you will visit a local greenstone factory and watch a demonstration before travelling to Punakiki to witness the Pancake Rocks and Blowholes. Your base for the night is an eco-friendly resort located directly on the waterfront – relax with a delicious dinner as you watch the surf at your doorstep. 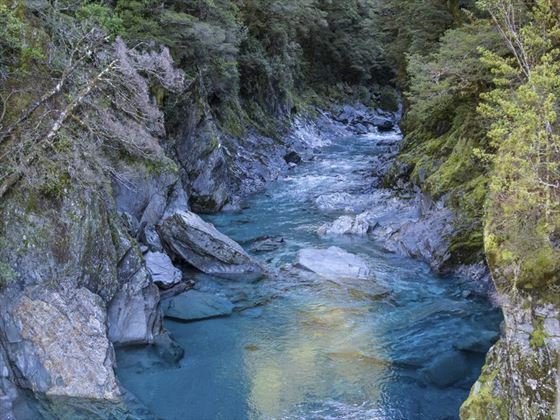 Explore the picturesque wilderness of the Heritage Highway through the mighty Buller Gorge and Kahurangi National Park before you arrive in Nelson. This is a small coastal destination; the second oldest settled city in the whole of New Zealand and the oldest in the South Island. In the afternoon, you’ll visit the World of Wearable Arts and Collectable Cars. 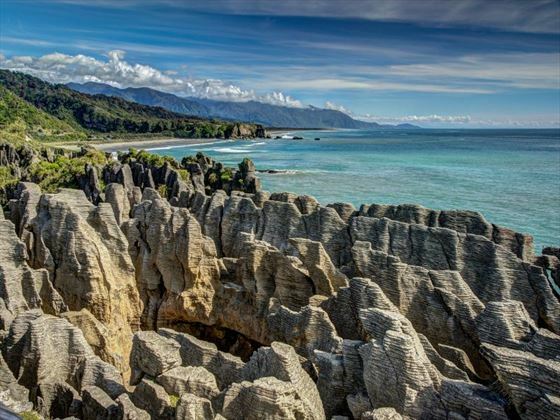 Spend a day at leisure in Nelson where you’ll have the option to take a journey to the top of the South Island, as well as enjoy a relaxed cruise in the Abel Tasman National Park. Alternatively, take a short bush walk, explore the arts and crafts stores, or simply relax and soak up the sunshine. 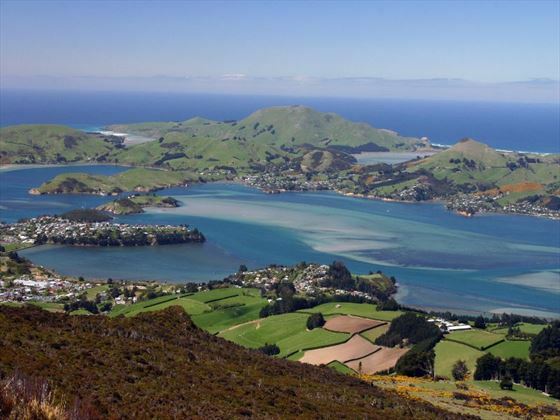 Today sees you visit the seaside village of PIcton and take a cruise on the tranquil Queen Charlotte Sound before you make your way across the Cook Strait to Wellington. 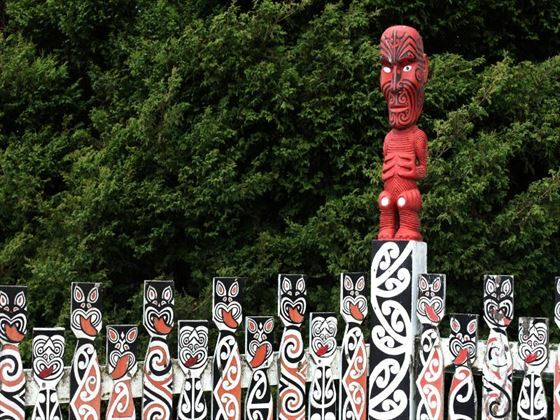 Take a city tour of New Zealand’s capital before a guided tour of Te Papa – the Museum of New Zealand – where you’ll be able to immerse yourself in the art, history and culture of New Zealand. 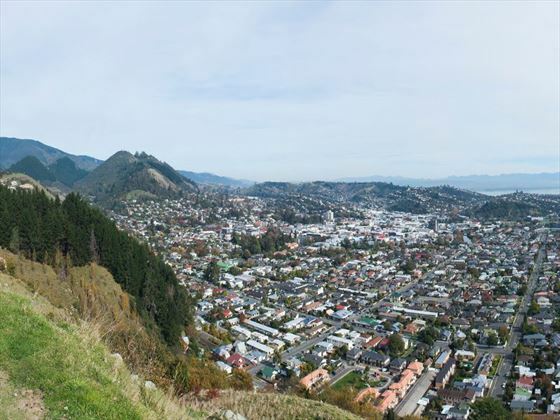 Relax with a day at leisure to really enjoy Wellington at your own pace and to see the sights of your choosing. You could perhaps take a tour of Parliament, visit Somes Island via a charming cruise, or take a tour of one of the Lord of the Rings movie sets. If you’re unsure how to spend your time, speak to your tour guide who will be able to recommend an activity to suit you. This is your last day of the tour – enjoy a leisurely breakfast before making your way to Wellington Airport for your departing flight.